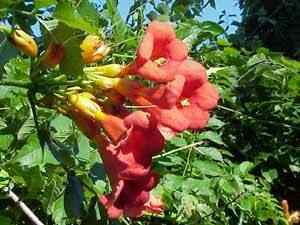 Description: A climbing vine, with compound leaves 7 to 11 toothed leaflets. 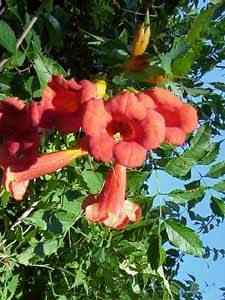 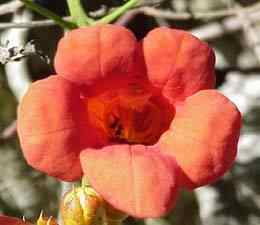 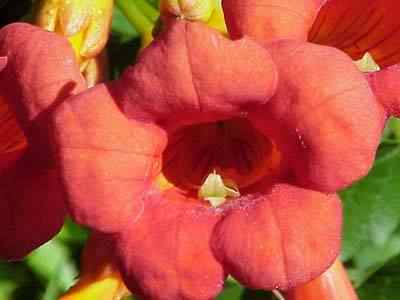 Flowers are swollen 3 inch trumpet like and vary in color from orange to red. 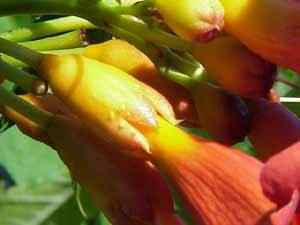 Skin irritation has resulted from handling the plant in some persons.